Whether on their own or as an accent to another window, Picture windows add custom flair to your home in a variety of shapes and sizes. They can also be used to lighten a dark area, where other window styles might not work, such as in an attic or garage. Picture windows are also very energy efficient. Picture Windows offer a picture perfect view. The contour precisely matches the design of the double hung and slider window configurations, adding classic beauty to your home and the low-profile contoured design makes it ideal for maximum viewing. Make your home your own with custom window shapes and bold architectural statements, including: round, half round, octagon, trapezoid and triangle. Our picture windows are also available in new construction. Not only are you able to select the perfect replacement window for your home, but you are also able to select the different options and features you want to make the window perfect for you, your home and style! 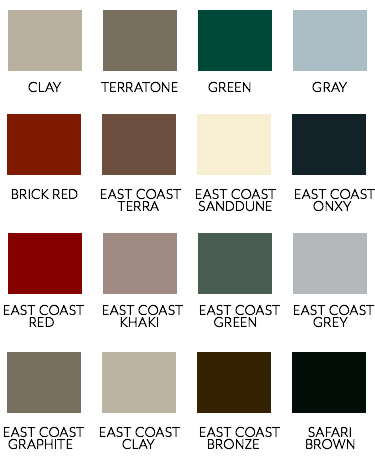 We offer a total of 16 painted options, 3 vinyl colors, 5 WoodGrain options that pair well with out Thermal Trim Kits and a variety of hardware finishes.